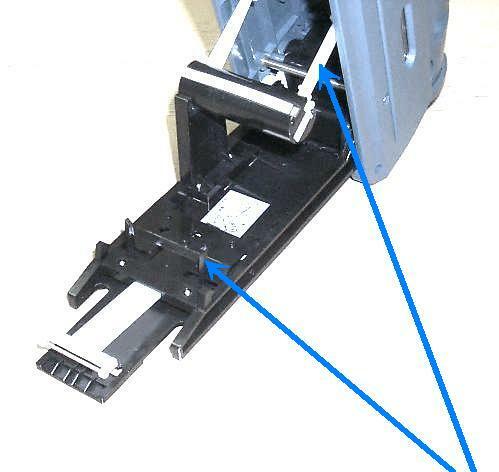 Hand Labeler, Label Printer Shinsei Industries Co., Ltd.
New type, EM22 electronic dispenser is special version for fruits marking. It can also dispense labels at the rate of 130mm per second as same as EM21. However, its narrow front is very useful to apply small fruits labels onto fruits effectively. 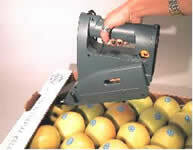 Now, EM22 marker is an indispensable tool for fruits labeling. 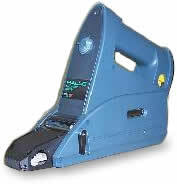 cordless marker with rechargeable battery or marker with AC power cord. (Notice): Design and Specs are subject to change at any time. Narrow front makes corner labeling easier !! Quick and smooth label dispensing !! 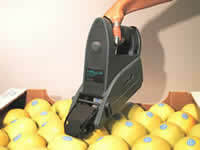 EM22 has a narrow-sized front part, which was exclusively designed for fruits labeling. (The maximum width of the backing paper is less than 34mm.) Its slender front enables us to apply fruits labels onto the fruits put at the corner of the carton box. EM22 is an ideal marker for fruits labeling. This sensor detects slack in the backing paper and instantly reels it in to ensure proper label peel-off. 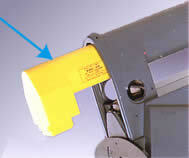 This sensor arm monitors the leading edge of the label, and ensures that the subsequent label is fed forward properly. The dispensing length of the label is adjustable using the control knob, therefore, even labels without notch or black mark will be fed just right. Controls the dispensing length of the label. Set it to fit with the length of the label you are using and object you are labeling. 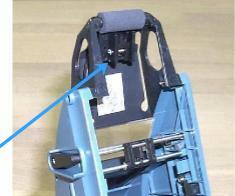 It offers a 60 mm range of adjustment. A single charge is good for about fifteen label rolls of 18 meters each. The AC Adapter CV-60 and the Grip for the adapter AG-21 are needed for use with AC power. 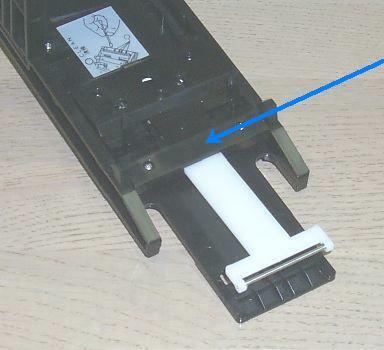 Set label to match label-holder width guide and insert the leading edge of the backing paper between the feed roller and the press roller and turn on the power switch. This automatically sets the label to the correct position.